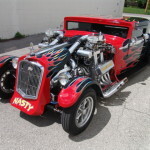 There is unique – as in I haven’t seen something like that in a while and then there is UNIQUE – as in I haven’t seen something like this in my entire life. 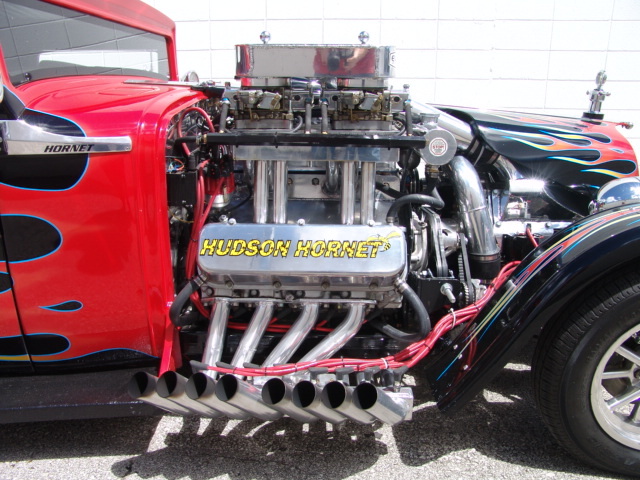 The latter is definitely the case for this custom 1930 Hudson Super-Six hot rod being sold on ebay. 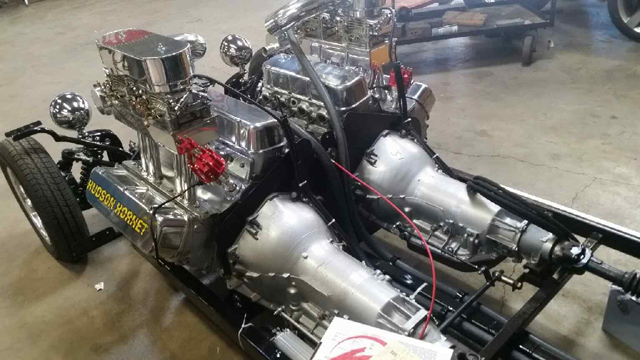 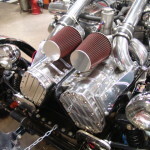 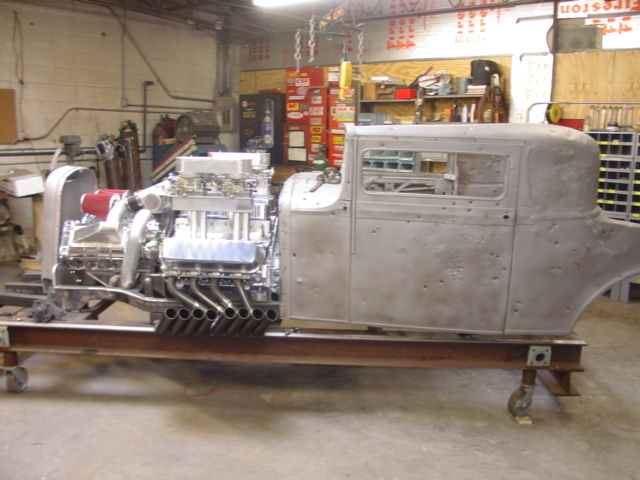 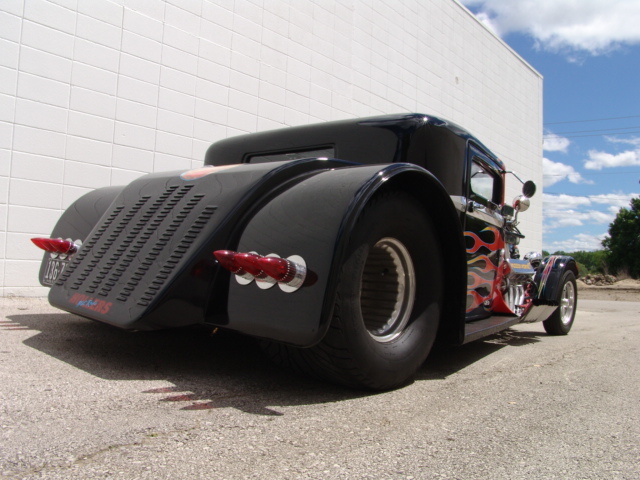 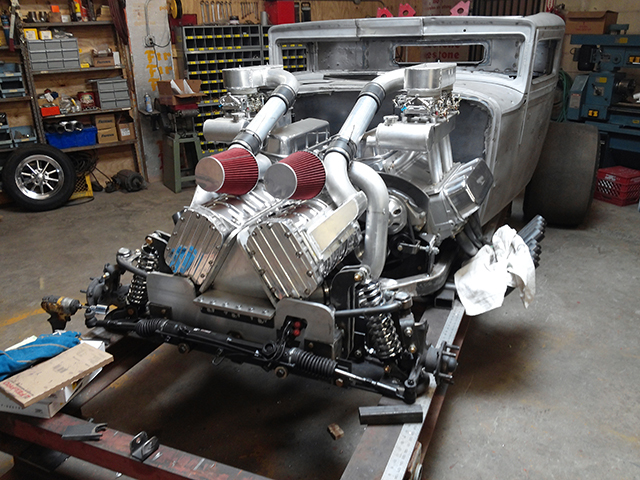 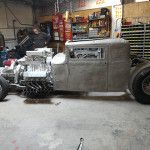 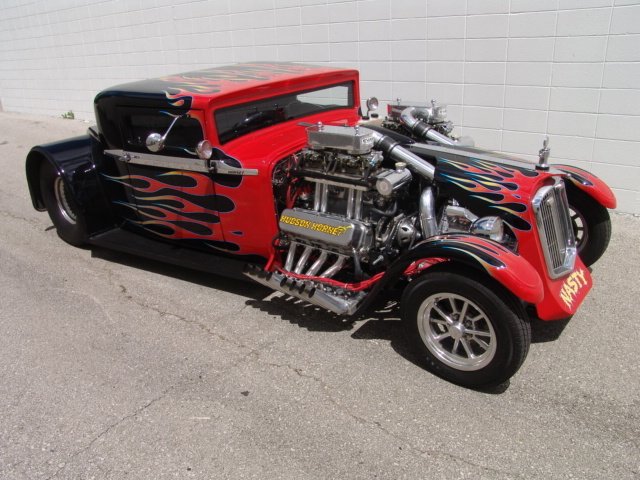 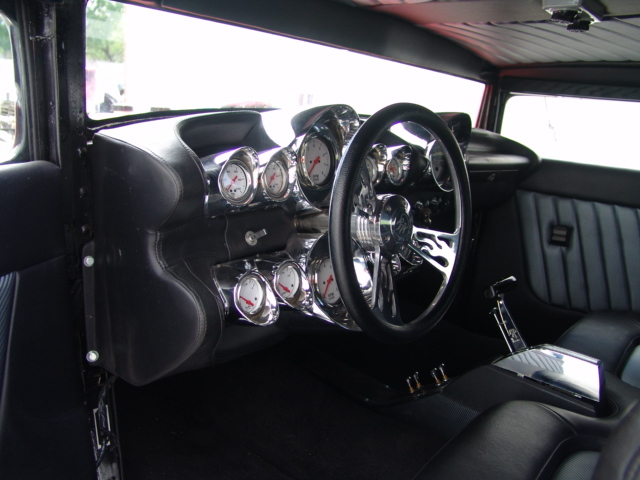 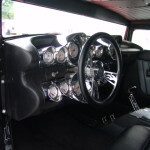 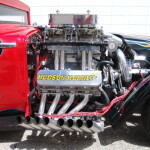 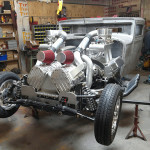 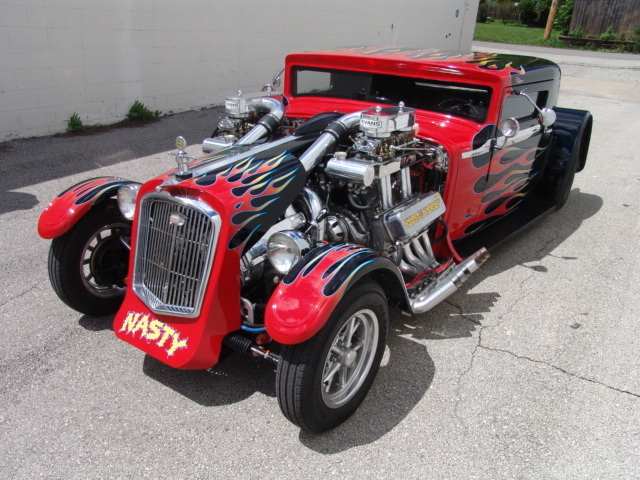 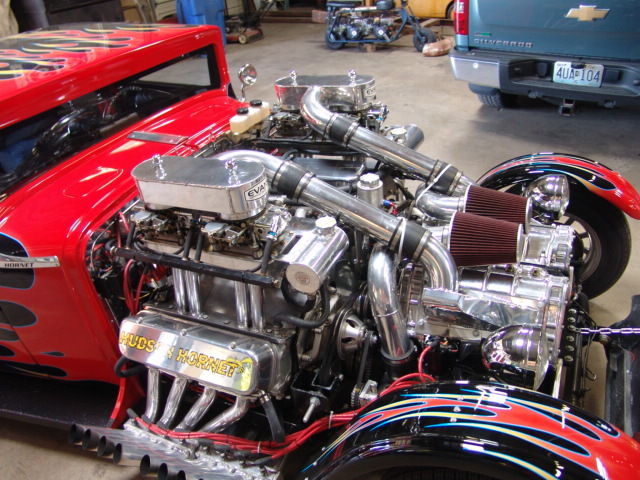 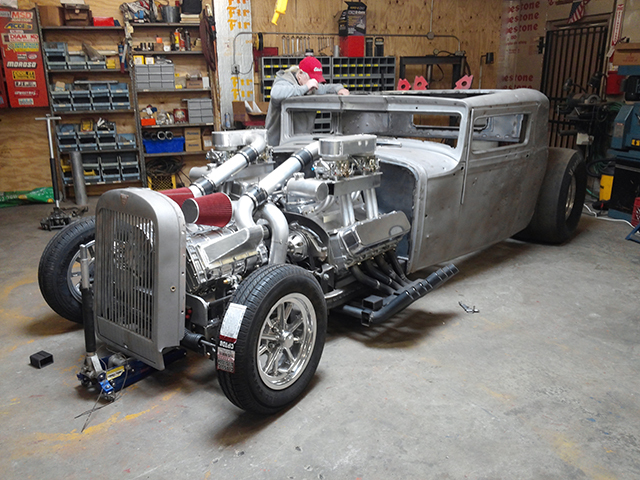 The vehicle was built by Holler’s Hot Rods out of Independence, Missouri and is powered by twin 468 ci big-block Chevy V8s with two 671 GMC blowers that produce 1,600+ horsepower. 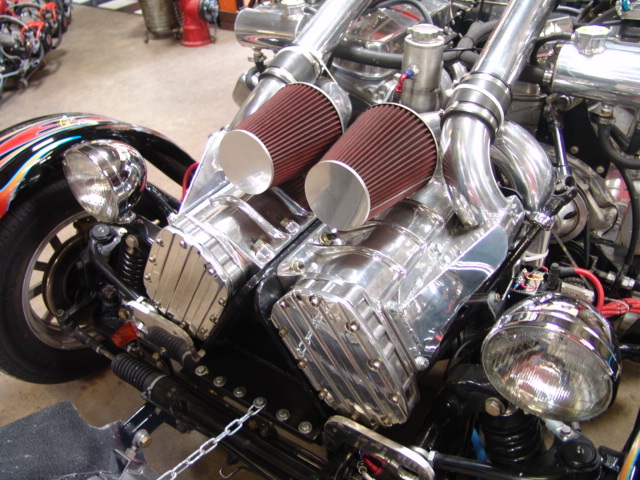 Those are connected to two Turbo 400 automatic transmissions and two Ford 9″ rear ends. 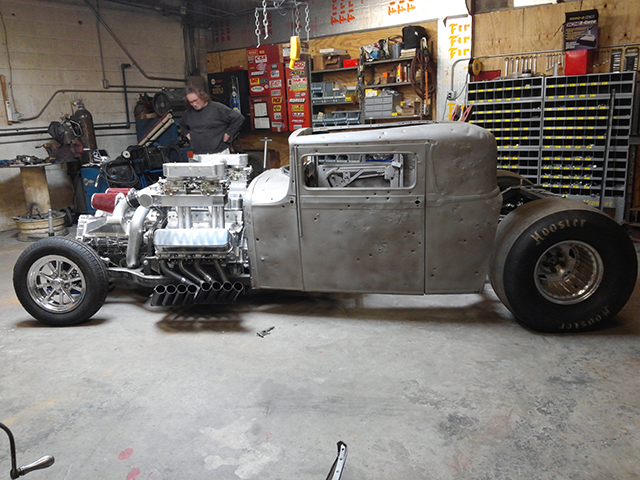 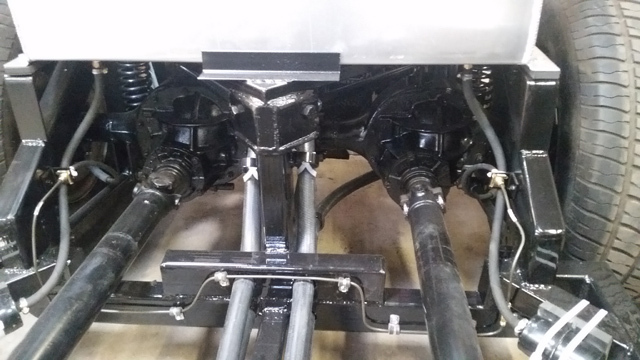 Essentially the car is powered by two complete drivetrains.